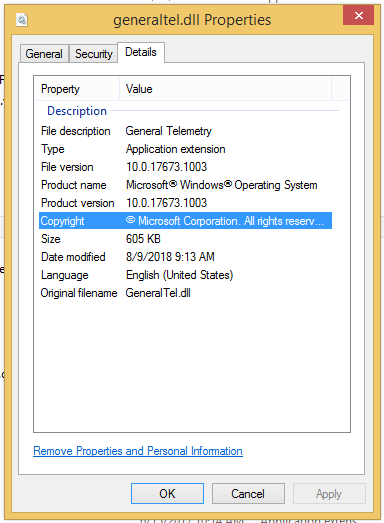 It appears that last month's KB4462926 contains telemetry components. 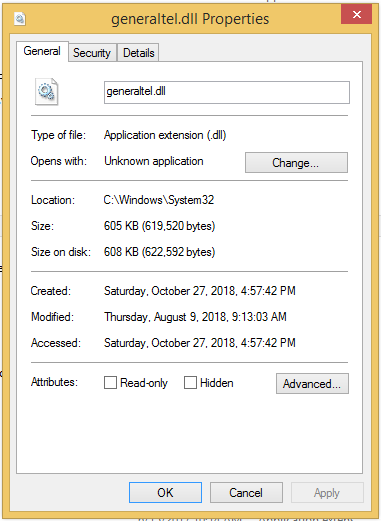 I discovered it yesterday when one of my anti-malware defenses detected new stuff trying to run. What's annoying is that I'd previously opted out of this, and also disabled telemetry (as best as I could). It looks like I will need to resort to more aggressive countermeasures. Great! That means it's likely present in the Server 2012 update that I'd use for Windows 8. Damn that @NoelC - it appears he's right again. See I've been waiting for the ABSOLUTE GREEN LIGHT to install updates from December 2017 onwards (skipping only the month with the Spectre and Meltdown mitigations). I just wouldn't feel right in October 2023, having only updated my system to five years ago. But it's almost starting to make sense. My whole reason for sticking with Windows 8 was that Microsoft seemed to leave it alone, yet I could still manually patch it. Does anyone have such a list of updates to block on Windows Server 2012? I understand there would be low demand for such a thing, but I was just curious. By the way, I mean the original release (as in Windows NT 6.2), not R2. 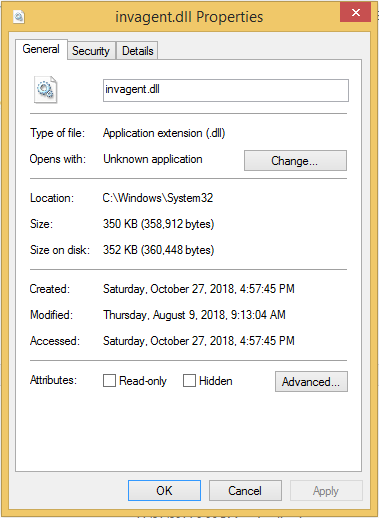 Well, there was a security-only update (KB4462941) that I could have installed instead, and that's probably what I should have done. Regarding my approach, I decided a long time ago that avoiding updates isn't really a viable long-term option. And even if I am somewhat successful at avoiding unwanted components, there's a good chance that they'll eventually sneak in at some point. That being the case, I decided that I will learn how to disable the unwanted software so it's not able to run. I have these files on my (almost) only with its own updates Windows 8, they must be compatibility telemetry elements. Having my network being monitored with NetBalancer: CompatTelRunner.exe has some communication with the internet, mostly after searching for Windows updates (of course there is only the MRT stuff now), invagent.dll rarely communicates with the internet (and with very low bandwidth) and generaltel.dll, well..., I discovered its existence today. AFAIK these telemetry updates are only included in the 8.1 and 7 Monthly Rollups. 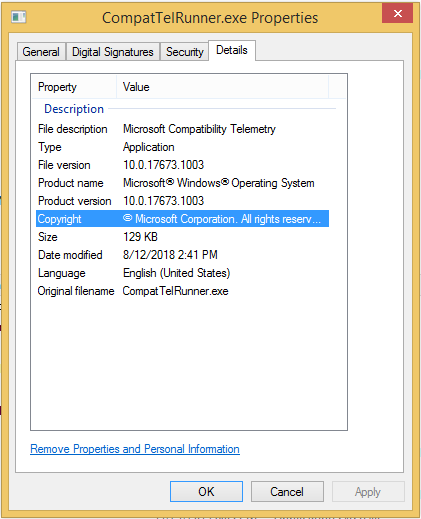 Windows 8 still hasnt incorporated any kind of telemetry in its Rollups. I'll let you know when I get to my main PC, where I stored those files. It also contains an update for several files for Windows Update, which means most tools to circumvent the CPU block are now useless... Beware anyone with a Kaby Lake CPU or a Ryzen. 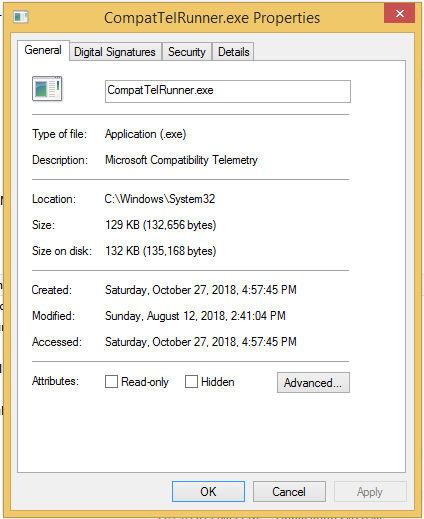 What about compatibility telemetry (the files are present on Windows 8 with the until the EOL updates)? Yet there isn't really a reason to worry, Microsoft has forgotten Windows 8 altogether... (this has its good side though). As for Windows Server 2012, I don't know if they are interested in server only telemetry at all. If you go into the Server 2012 Update history site, you can download the list of files contained in each update in a CSV format. Opening it with a decent text editor you can search for the telemetry components listed in the OP and, so far, the files weren't listed in them (once again, good news for 8.0 users). Now what I'd want to know is that, if I install all of the updates for Server 2012, from December 2017 to current (but skipping whichever month has Spectre/Meltdown), would I incur slow downs of a significant type? Is it OK to skip the month's update? 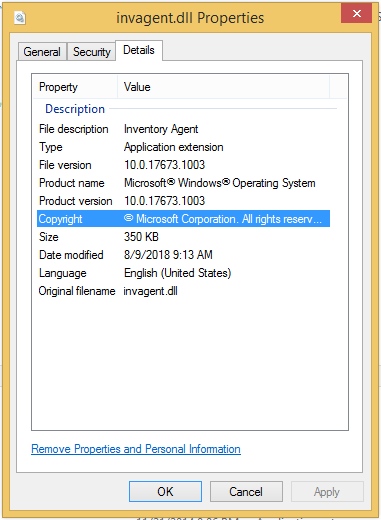 @greenhillmaniac, I just uninstalled KB2871389, KB2885699, KB2957026. Surprised I missed these. Thank you so much. I've been using this reg tweak for quite some time, and haven't noticed any performance drop, though I haven't done any kind of extensive testing like @NoelC.